Activities with lodging ( only) . For day visits, we offer packages. Indulge in the endless choices of activities at this tropical paradise. Puerto Barillas offers an extensive array of entertaining pursuits for the entire family. Lounge by the pool. Relax on one of the bay islands. Browse our convenience store for the perfect souvenir. Attend the monkey sanctuary and hear interesting and funny stories of these friendly spider monkeys, taste our delicious food with lovely views of the bay and its different colours. Participate in Protecting the Sea Turtles (tours on request). This Hidden Treasure of the Pacific Coast, Puerto Barillas, provides a diversity of activities for any age. Puerto Barillas offers many unique guest activities. From bay tours to water sports, children’s playgrounds to conservation programs and sightseeeing, there is something here for everyone. Hacienda La Carrera in the 60s-70s included a protected, environmentally conscious zoo. After the land reform that took place in late 1979 many innocent animals were killed or sold. However, there was a community of cunning spider monkeys that managed to survive over the years. Today, much of the property at Hacienda La Carrera has been repurchased for agricultural use. Nevertheless, the purchasing company has gone to great efforts to purchase “green areas” with a strong commitment to preserve and protect the flora and fauna. As a result, native wildlife in the area has made an impressive comeback. The monkey population is also thriving, having reached close to 30. Spider monkeys are quite curious and fond of tourists. They will happily accept bananas from visitors and make for a wonderful experience. New in 2015! ! The full tour (cacao and monkeys) started at Puerto Barillas heading to a cacao plantation, passing by a banana plantation and plant ( usually available Monday and Tuesday morning ), then biking through the forest until reaching the monkey’s sanctuary encounter spot. If you are lucky, you might even find the monkeys on your way to the forest. After stopping by the monkey’s encounter spot, we stop at a pond so we can try to observe crocodiles and some migratory birds. We highly recommend to take the tour with a guide who will take you through the beautiful canals of the bay, where you can appreciate an exotic variety of mangroves, which are lit by the sun’s reflection . You will also see how four eyes (a specie) walk in the water and you may see a crocodiles or lizard . It will be a good experience! The tours are from 30 minutes- 2 hours (depending on your physical condition or fitness level). We can go around the island, go see crocodiles , look for birds …. here we customize it according to your preferences ! Visit Central America’s largest cacao plantation (approximately 175 acres) in San Jose Real de La Carrera just 1 km away from Puerto Barillas. Discover the plant processing of cacao, its drying methods and its fermentation, for exporting one of the finest cacao seeds in the world, acriollado. The visitor will be able to taste the fruit of cacao, toast cacao after the drying process and back in our restaurant, you can taste a cup of hot chocolate (at breakfast, lunch or dinner time). Value added tour: there are 2 days a week when a plantain plant is processing “big bananas” for exportation. The colorful sceneries are picture-perfect. Days vary so we cannot guarantee this tour. There are 27 deserted islands in the Bay of Jiquilisco. Our boat tours take approximately 30 minutes to reach one island, Pajarito, Las Elenas or La Pirraya, surrounded by beautiful scenery. Expect to see: alligators, exotic birds and mangroves, and picture-perfect volcanoes in the distance. Once you reach the beach, bathe and swim in the bay’s calm and warm waters. You could also be taken to one of the two bay deltas and swim in the Pacific Ocean. We have everything prepared for this trip: a big umbrella if too much sun bothers, chairs for resting and best of all… we can prepare a cooler with your favorite beverages. Experience the beauty of nature around Puerto Barillas. During the tour you will enjoy the landscape of the volcanic ridge, mangrove forests, bird watching, and fishermen in full operation. In the Bay Area, Jiquilisco, are housed Cumichín island, Espiritu Santo, San Dionisio Tortuga, El Recodo, San Sebastian, Summary, Bow, Isla Pajarito, Corral de Mulas, Punta San Juan and other islands. River mouths: the downturn, La Chepona. Cargo Ports: The Triunfo and Puerto Parada. *Approximately 90 minutes of navigation and 1 hour to enjoy Pajarito Island (bathing, relaxing, taking pictures). Please note that all prices include (13% IVA). Prices do not include tips. A strange and miraculous image, made of lead, is found on the main altar of the church of Santa Maria in Usulutan. The residents had a fisherman of the bayworking in the waters near Bird Island (Isla Pajarito) , when, suddenly, the sea was curled, the degree to wreck his boat. Such was the anxiety and fear that the fisherman invoked his salvation from San Antonio. When he awoke, he was in the Bird Island beaches and in his hand the saving image. From there, the man promised to be the protector of the small effigy. Then, when man and statue were called to the bedside of a sick, he healed them. This happened many times until the image was required by the church, but the man refused to surrender it, therefore, the police arrested him for the purpose of confiscating the image. The fisherman handed over the image and was released. But, when he was among his people, he found, surprisingly, in their spritsail, the saint wrapped in a handkerchief. Since the news of this miracle ran, the faith of the population increased, so it was decided to celebrate the feast of San Antonio Pajarito each February 20. An afternoon on the island is a sight to reconnect with nature. This small space is one of the favorite places for the birds that inhabit the bay. So along with the sunset, Bird Island is wrapped with the presence and the unique melody of various species of birds. This destination is close to Punta San Juan. Placid waters, a paradisiacal place located on the peninsula of San Juan del Gozo. For Espiritu Santo (4 hours maximum): $195.00 Visit a Coconut Oil Production Center. • Please note that we offer complete packages. 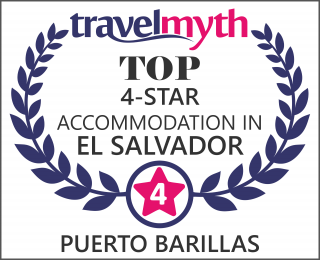 Please emails us at info@puertobarillas.com for group package information.